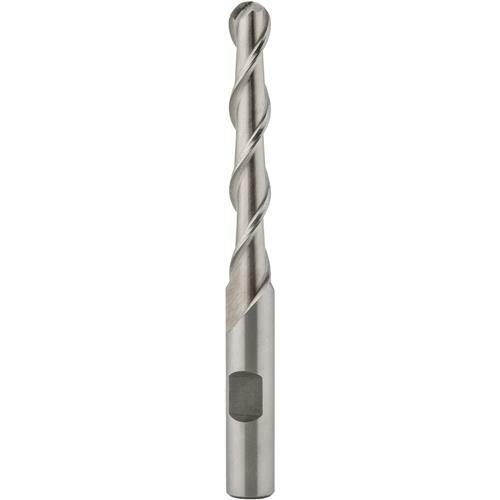 This M2 high speed steel, two flute single end ball end mill is designed for working aluminum. 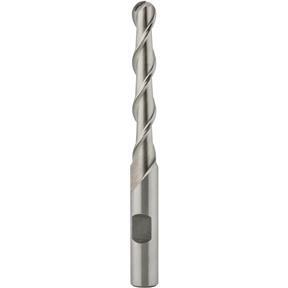 Shank diameter is 3/8".Diameter: 5/16"Flute Length. : 2"Overall Length. : 3-3/4"